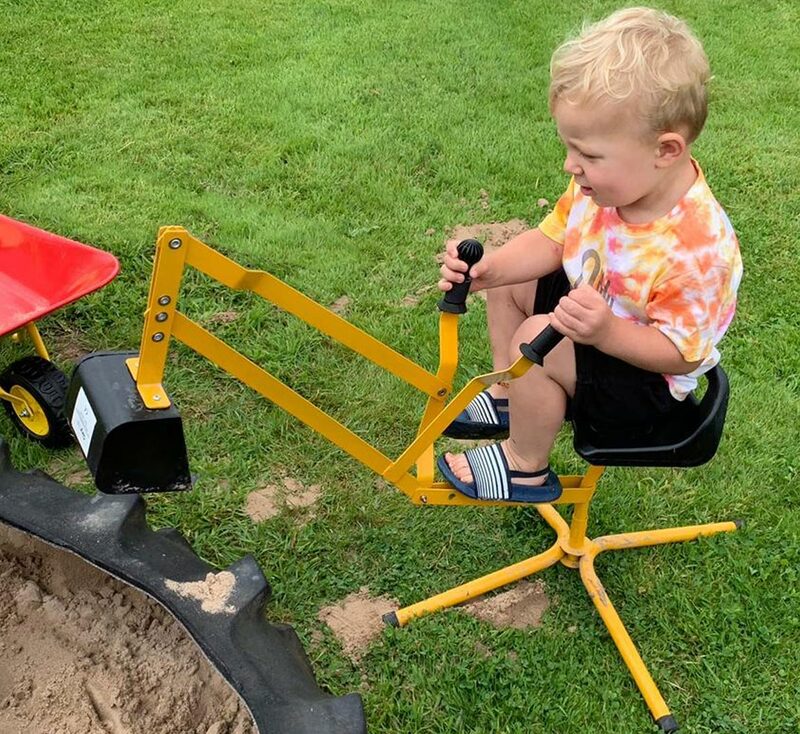 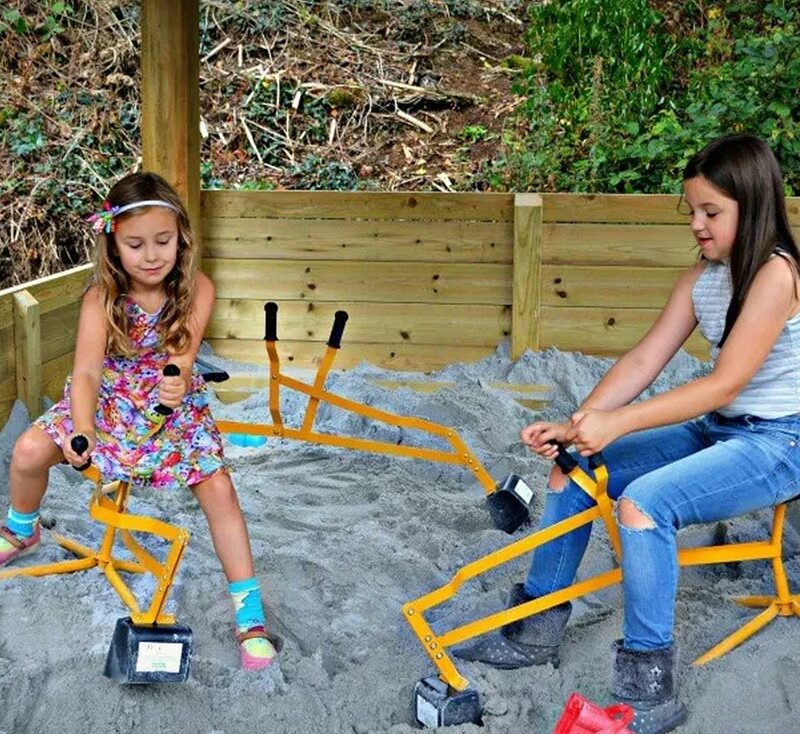 Even if your budding quarriers don't have a sandpit this digger is just as much fun in the garden as a way of playing construction - moving soil, stones or leaves from one place to another. 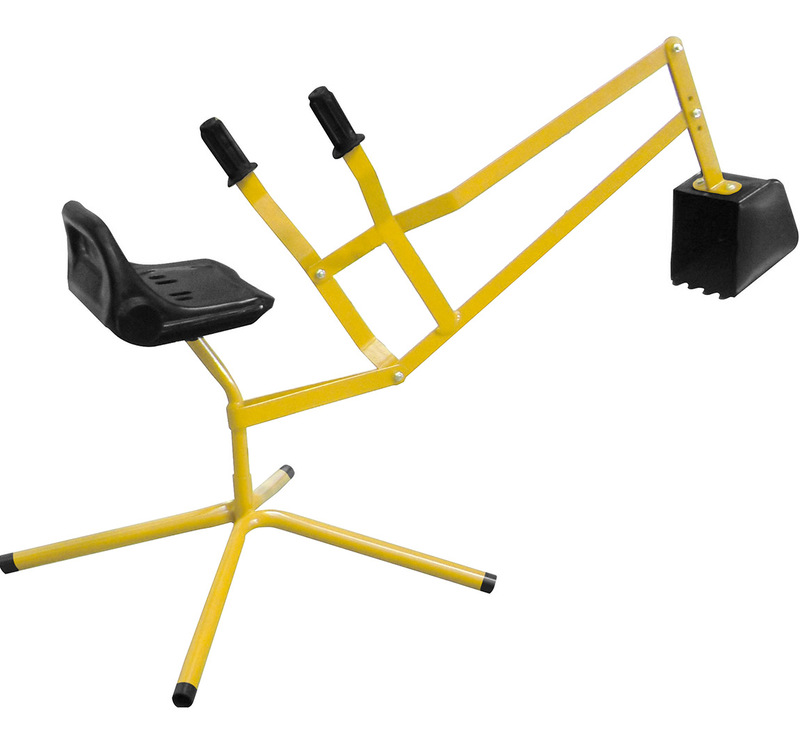 The solid metal frame sits firmly on the ground while your child can sit safely on the seat. 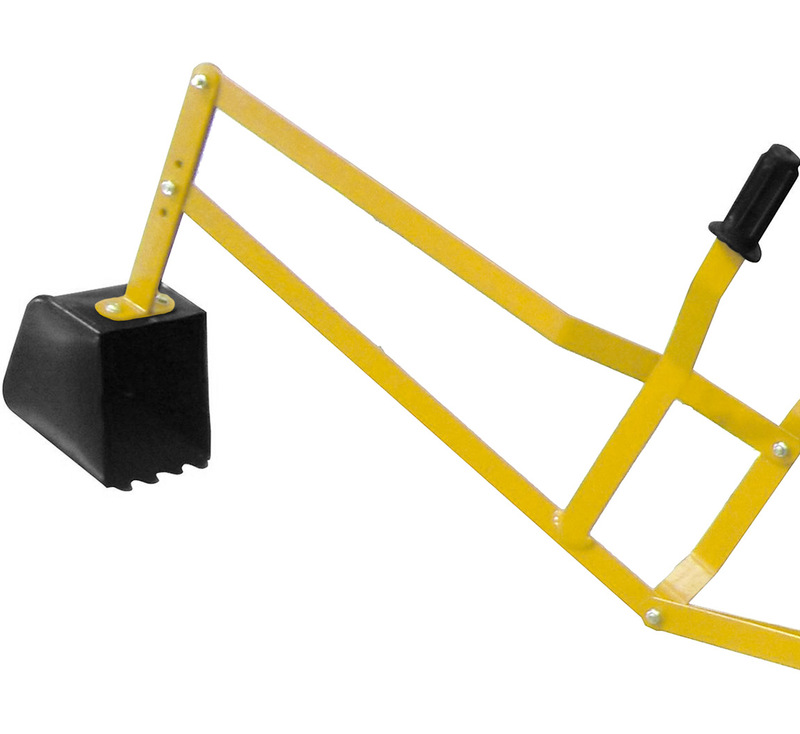 The digger will then turn a full 360 degrees, as your child controls the scoop by using the levers. 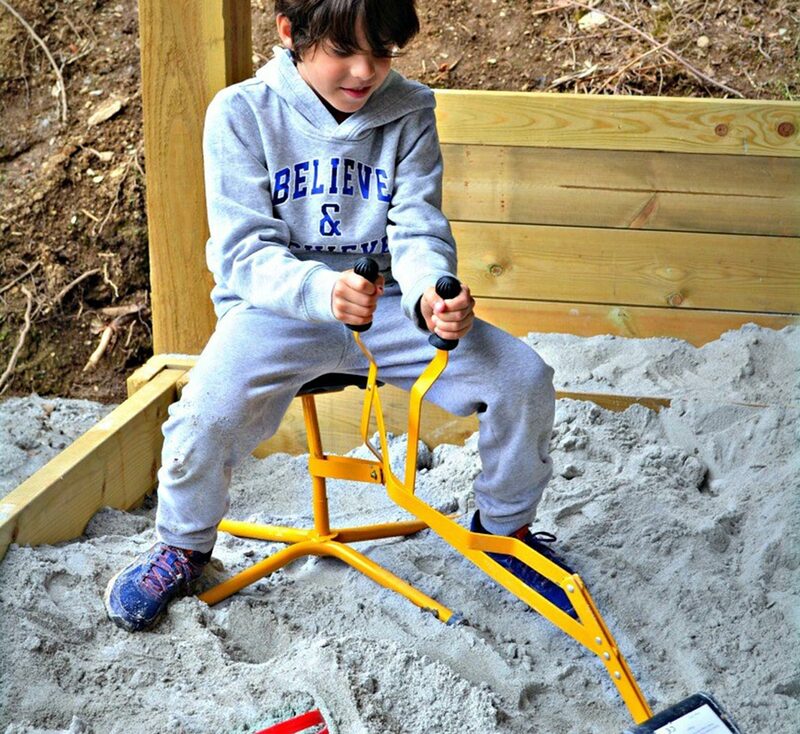 This toy is not only great for any industrious child, but also great for hand to eye coordination.